It happens very rarely that the nation shifts its attention to the issues of the most vulnerable segment of the society- women. Only the issues that have far-reaching consequences capture the attention of the masses. Over the past few days, we have seen not one but two such matters. One has created waves on social media, while the other has triggered a storm on the streets. 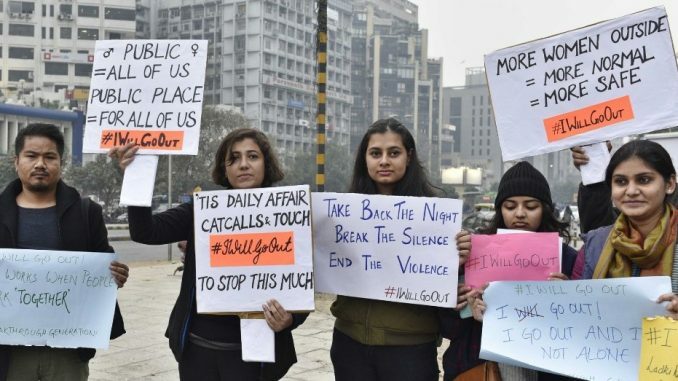 On the one hand, an online movement, MeToo, has mobilised scores of people across various social media platforms, standing in solidarity with hundreds of women coming forward and narrating horrendous instances of sexual harassment and the associated trauma and pain that they had to go through. As a result, questions are being asked to those abusing their position and privilege. Powerful people have been put in the dock. Heads have rolled, and women are feeling emboldened enough to come forward and call out the predators among us. While on the other hand, thousands of people have thronged the streets of Kerala. Hundreds of devotees, overpowered by a sense of hate and vengeance, are ready to pounce upon a handful of women attempting to visit the Sabarimala temple after SC’s recent verdict that allowed their entry in the shrine. Open threats are being issued to women, buses are being set ablaze, and journalists and activists are being brazenly hounded and hackled. And all this to protect a religion that stands as an epitome of non-violence across the world. This is not a resistance to protect a tradition but a reluctance to give up the entitlements and privileges that men have enjoyed for thousands of years. And for that, they are even willing to undermine the integrity of the apex judiciary too. Their vision of India is one where majoritarian views will undermine constitutional morality. This antediluvian majority is unwilling to recognise that no force can stop the ideas that are challenging old structures. Further, with the MeToo movement number of enlightened citizens are coming forward and striving to build a country where women don’t remain dormant and actively participate in the nation building process in a safe and secure working environment. Their vision of India is one where every citizen, irrespective of gender, has equal participatory opportunities. These are the two very contrasting visions of India that we have in front of us. We are standing at that cusp in our history where we have to choose sides. This decision of ours will decide how the women’s fight for their rights shape up and how our history will remember us.